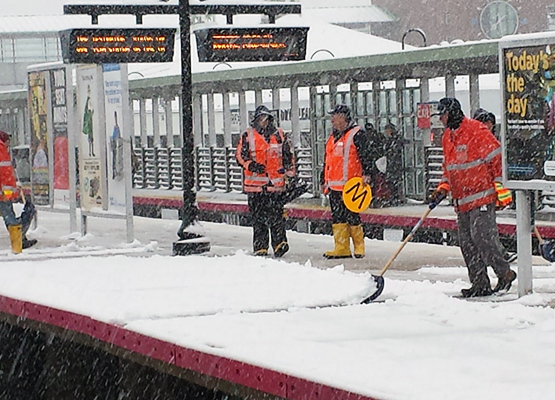 Yard maintenance and snow removal businesses require advanced notice of changing weather conditions. AerisWeather allows these types of companies to prepare for heavy precipitation, high winds, and extreme temperatures by offering an advanced alerting and forecasting tool. With the ability to save multiple locations, you can be sure that you will always have reliable forecasts for each of your job locations. This accurate weather information will make your outdoor work more efficient, saving you time and money. 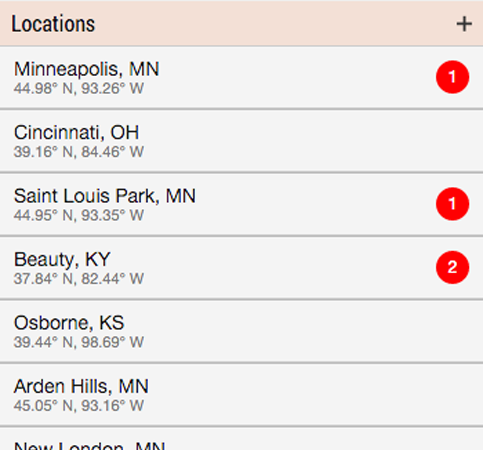 Set up personalized weather alerts for your location through an easy to use web or mobile platform. Notifications can be sent to multiple users. 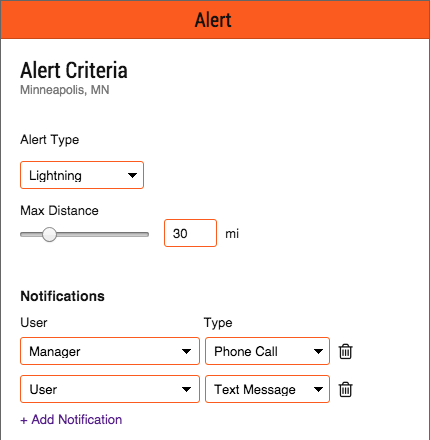 Alert types include forecast, NWS advisories, lightning and storm threats, which are exclusive to AerisWeather. Our own sophisticated algorithms will notify you if a strong storm is approaching your specific location. The alert will also include details on precipitation intensity, hail, and any possible tornadoes. Forecast alerts can be set to notify you when heavy snow is forecast to fall, so you can optimize your time and resources efficiently. Worried about spraying weed killer or fertilizer today? Don’t be. AerisWeather will send you a customized alert regarding forecast sustained wind speeds and wind gusts. Stay ahead of the weather with Aeris Enterprise. Our Enterprise weather dashboard provides current and future forecasts in both interactive map and graphical form. 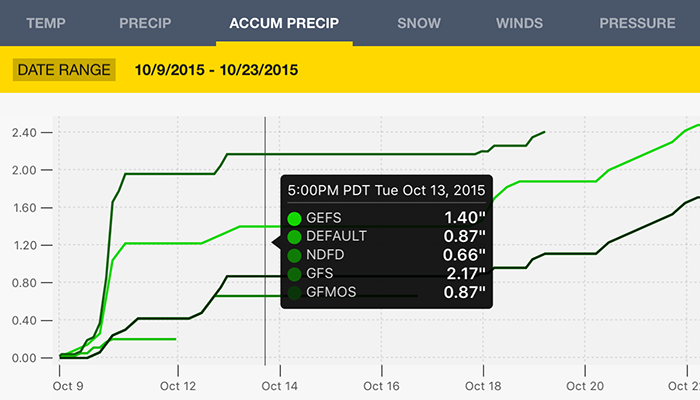 Plan your schedule for the next week with access to multiple forecast models. Assure that you won’t fall behind schedule by determining the best days to take full advantage of.